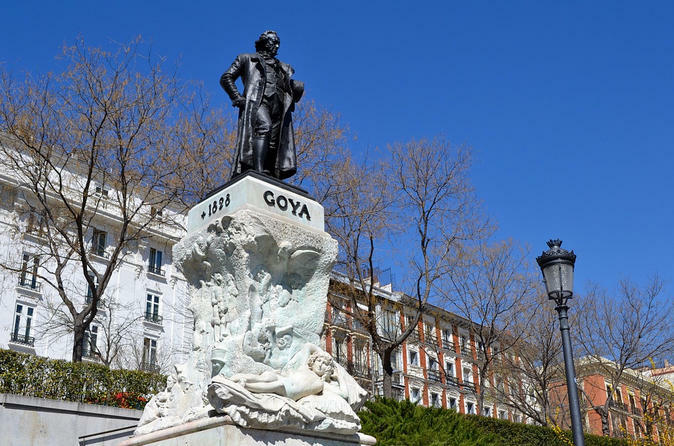 Join an art historian for a small group, skip the line introduction to Prado Museum and its masterpieces by such artists as Hieronymus Bosch, Titian, Rubens and Velazquez. During this three-hour overview of the Prado Museum with an art historian guide, you will get a broad, contextual introduction to this exciting collection, arming you with the tools for a more in-depth study at a later date. Our group will be small (never more than 6 people), so we'll have plenty of time for questions as we wind our way through the galleries. We'll begin by exploring the paintings that once formed part of the private collections of Spanish monarchs. These works form the core of the Prado's collections, and include such masterpieces as The Garden of Earthly Delights by Hieronymus Bosch and The Descent from the Cross by Roger van der Weyden, two of the most important paintings in the museum. We'll trace Spanish history through the art of the Prado, following the Habsburg dynasty in Spain, and learn how Charles V and his son Philip II became prominent patrons of Italian artists such as Titian. We'll look closely at Titian's powerful portraits of both regents, and compare and contrast the way in which he depicted father and son as we decode the political and religious components of each painting. We will also learn about Velazquez, court painter and artistic advisor to King Philip IV (grandson of Philip II), and his influence over many of the works commissioned and acquired for the royal collection. We'll look closely at the artist's own works, particularly his famous Las Meninas. Finally, we'll finish in the Goya rooms, where we can review the relationships between artists and their royal patrons as we study such works as The Family of Charles IV, a family portrait dated circa 1800 with interesting political connotations. At the end of our introduction, you'll have a deep appreciation for the variety of masterpieces contained within the Prado.